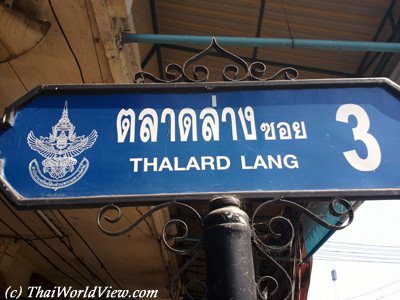 Some Thai markets are outdoor for temporary periods (markets in temple on Sunday or on evening time). Some Thai markets are indoor permanently. 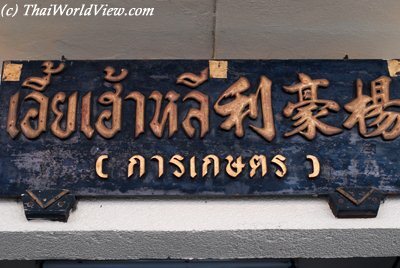 Interesting to note that many Thai market shops in some areas were owned by Thai Chinese people as some signs still display Chinese characters. 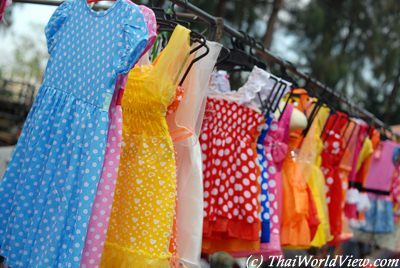 Thai markets don't feature only food stalls but also clothes stalls. This one is selling children clothes. 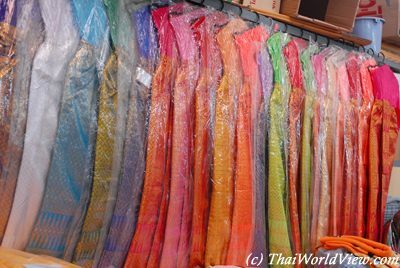 This market shop is selling Thai beautiful multicolored traditional dresses. 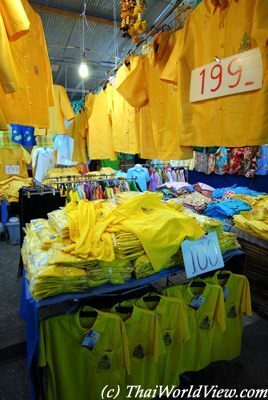 Normally Thai people wear yellow clothes on Monday to honorate their King. Due to the political crisis between Red shirts and Yellow shirts groups, some people shun red and yellow clothing to avoid troubles. 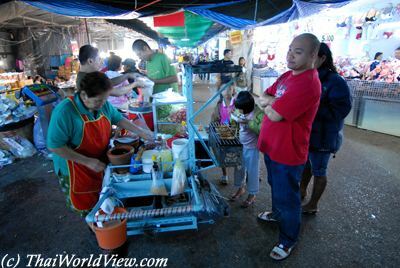 Thai markets are always a good place to find delicious restaurants or small foos stalls.